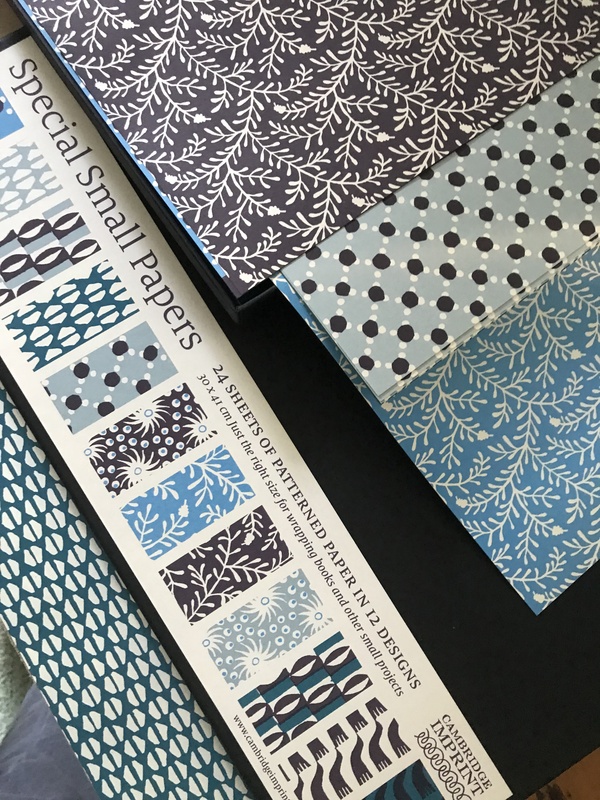 Special patterned paper in highly creative designs from Cambridge Imprint, just the right size for wrapping books and other small projects. These are the finest quality papers in dazzling designs, the most stylish way to dress up a present we know. Made in England, http://www.cambridgeimprint.co.uk. INSTYLE Parties: The Complete Guide to Easy, Elegant Entertaining All Year Round, is a must-have resource for anyone looking to host chic parties without stress or guesswork. Here, the talented editors of INSTYLE share their best tips for hosting 15 unique celebrations, from dinners to game day parties, from boozy brunches to summertime soirees. For each event, there is a customized menu of recipes, invitation inspiration, tabletop ideas, take home gift suggestions and a detailed timeline for seamless preparation. There’s also wine pairings and 100 trusted resources. From Oxmoor House, an imprint of Time Inc. Books. NOBU, a Memoir, exemplifies what highly-acclaimed super chef Nobu Matsuhisa does best–marrying the philosophies of East and West to create something entirely new and remarkable. This little book gives rare insights into the private man and reveals what makes him special, what made him famous, and his unique spirit of success. Emily Bestler Books, publisher. GIZZI’S SEASON’S GREETINGS, Gizzy Erskine’s feast and celebrations from Halloween to Happy New Year, crowd-pleasing fare for delicious gatherings throughout the holiday season. This book beautifully embraces eating and entertaining during the winter season. Published by Mitchell Beazley. ADVENTURES WITH OLD VINES, A Beginner’s Guide to Being a Wine Connoisseur by Richard L. Chilton,Jr., is an engaging and knowledgeable guide that demystifies wine for the novice enthusiast. Chilton is himself a Napa Valley winery owner and has extensive wisdom which he graciously shares in the form of how-tos on purchasing, tasting, collecting, and manufacturing, among other topics. Plus, included is a valuable reading list of wines. Published by Rowman & Littlefield. PRICK, Cacti and Succulents: Choosing, Styling and Caring by Gynelle Leon gives all the knowledge you need to help your plants thrive–from a plant index showcasing all the weird and wonderful varieties available, to simple advice on how to choose, care for and style your plant for maximum impact. Published by Mitchell Beazley. IT’S FUNNY UNTIL SOMEONE LOSES AN EYE (Then It’s Really Funny), Sagging Meniscus Press, Kurt Luch’s side-splitting collection of stories from a lifetime of humor writing made all of us laugh. Perfect for that someone who looks for humor in other places than politics and current events. With this little book, you will laugh in a many ways as possible about as many subjects as possible due to Luch’s high and low wit and use of every device and artifice of literature, often standing them om their heads for maximum comic effect. FATHERS & DAUGHTERS 2014 Pinot Noir, Ferrington Vineyard, Ella’s Reserve is very special, handcrafted from the Anderson Valley, made using the Pommard 828 and 667 clones to yield a complex, balanced and vibrant wine. The nose is compelling complexity and depth. Exotic spice suggests nutmeg, plum skin, and graphite. Fresh fruity and floral aromas slowly unfold showing violets, rose petal, bergamot, and red current. Candied fruit, bramble, and sweet tobacco give this wine a rich and supple quality. The palate on this wine is bright, focused, and strung with a tension that will reward cellaring. The lively fruit component leads with flavors of Bing cherry, pomegranate, strawberry, and plum. Richer flavors of rhubarb pie, black tea, and cola linger on the mid-palate. The inclusion of whole clusters to the fermentation shows with a mix of bright fruit, intoxicating florals, and a velvety texture. Wonderfully lean and lush at the same time, fresh summer fruits blend with an earthy forest-floor character in the mouth, while a vibrant minerality on the finish reaffirms the wines’ elegance. We first tasted this delicious wine at the fabulous Brewery Gulch Inn in Mendocino and can be obtained primarily available through a mailing list (capped at 500), and also available for purchase ($45) by contacting the winery direct at 707-813-1137 or at pacurar.guy@gmail.com. Visit http://www.FandDCellars.com. Parrish Family Vineyard 2016 Estate Rosé, $18, is a perfect wine for the Spring and Summer and features Grenache from their Templeton Vineyard in the El Pomar Sub-AVA. The nose welcomes with rose petals and bubble gum. The delicate palate opens with strawberries, hibiscus, and citrus peel. The finish is crisp with light minerals. Their 2014 Reserve Silken, $48, is a welcoming and aromatic blend of 60% Estate Cabernet Sauvignon and 40% Petite Sirah. The expressive nose entices with dark berries, plum, and black pepper. The palate accompanies with smooth, sumptuous blackberry and hints of cocoa that lingers on the finish. The Silken blend is medium-full bodied and pairs with various cuisines. Parrish 2013 Reserve Cabernet Sauvignon, $52, is 100% estate grown on the hillsides of Paso Robles. Diverse soils of clay loam, sandy, loam, and calcareous soils give this wine complexity, structure, and density. The 1200 foot elevation of the vineyard along with the marine influence helps the fruit to achieve good acidity at harvest. We urge you to join the Parrish wine club http://parrishfamilyvineyard.orderport.net/wine-club to get access to these and other very special offerings.